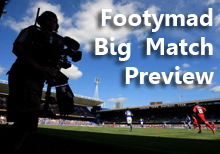 FM Preview: Cambridge United v Forest Green Rovers 02 Mar 2013 - Forest Green Rovers Mad! Forest Green Rovers face a trip to Cambridge United at Abbey Stadium on Saturday afternoon, hoping to improve on a record of draws against their opponents. The most recent encounter between these two sides at Abbey Stadium was just last season, in September 2011, where the two sides shared the spoils courtesy of a 1 - 1 final scoreline in a (Conference) Premier match. Cambridge United have managed to pick up just two wins from their last six home games, losing three, While U's have scored 7, a worringly large 10 have been leaked at the other end. Cambridge United's 45 points from 34 games sees them lie inside the top half of the table, in 11th position. Forest Green Rovers lie just outside the playoff positions in the Blue Square (Conference) Premier, picking up 56 from their 34 games so far. Cambridge United Been beaten in each of their previous 2 home matches. Forest Green Rovers Not won in previous 2 away matches.